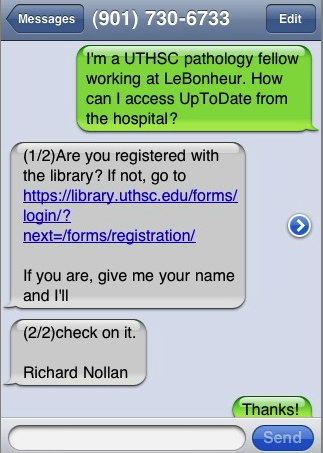 I finally got a Google Voice (GV) number for my library to launch Text a Librarian reference service! After running some tests, it seems to work well so far. 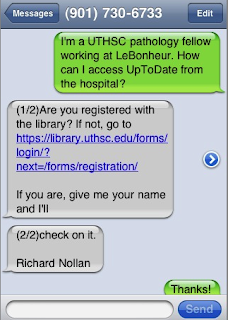 To monitor the service, the text messages are forwarded to the library email account. A FAQ page was created to help those who need more information about this service. You are welcome to share your experience in using GV to provide library services.